This blog was provided by Anne Urban, a member of the Norridge Citadel Corps Community Center. Every year the corps community center hosts the Come to Bethlehem celebration. The event is one of the Christmas season's anticipated events. Almost 30,000 visitors over the last 23 years have journeyed the road to Bethlehem through the hallways, rooms and chapel of the Norridge Citadel Corps Community Center. Along the way they’ve discovered the gospel through the nativity story—from prophecies about Jesus’ birth to the continued impact of the resurrected Christ on lives today. 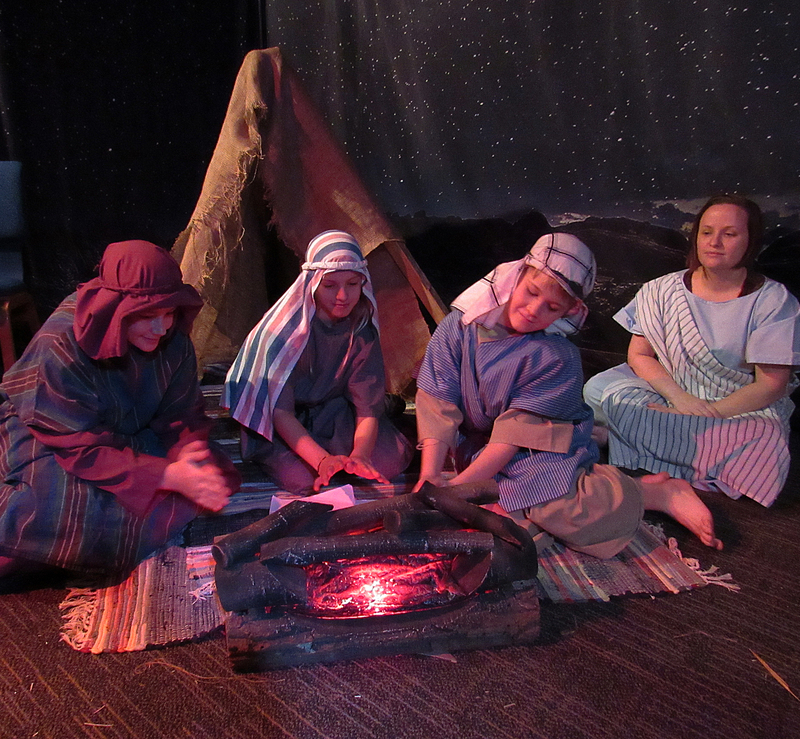 Looks of wonder on guests’ faces and their responses to this evangelical outreach motivates the corps’ congregation to continue this production, which includes musicians, costumed actors, scenery, dramatic lighting—plus live camels, sheep and a donkey! Virtually everyone who attends the corps is involved in the production, which has become so popular reservations for the free event have been required for more than a decade. “The ‘census forms’ we collect after guests hear Caesar’s proclamation from his throne consistently indicate at least half are here for the first time,” said Wes Carter, current manager of the Come to Bethlehem phenomenon. The contact information is used for follow-up and future announcements. Since its inception, Peggy Thomas has been the driving force behind the musical content and evangelistic emphasis of the concert that ends each performance of Come to Bethlehem. This year's performances are Friday, December 7 and two performances on Saturday, December 8. Purchase your tickets here. Utilizing various gospel art techniques, Thomas keeps the concerts fresh and meaningful. Held in the beautifully decorated corps chapel, the concert features members of the Norridge Citadel Band and Songsters interspersed with short dramas, videos and/or presentations, followed by an inspiring evangelical invitation from Corps Officers Captains Michael and Kristina Sjogren. One feature of the concert that remains the same, however, is the grand finale when Mary enters the chapel with Baby Jesus in her arms to the majestic strains of “King of kings, Lord of lords,” as Joseph leads a donkey up the aisle, followed by a stately parade of magi bearing gifts.